Hello again, from sunny Victoria, B.C. 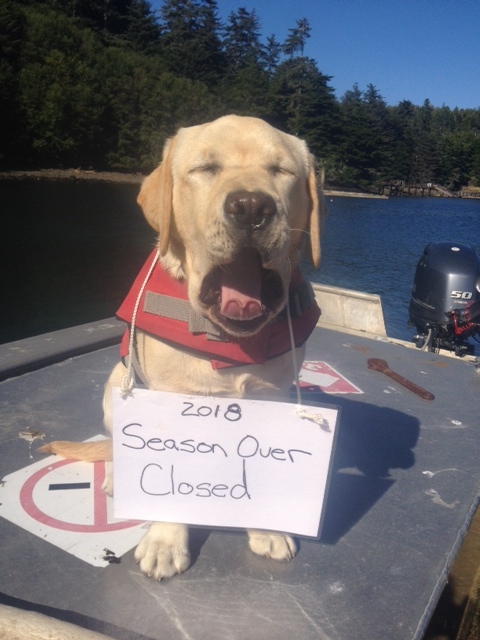 Yes the 2018 season is a wrap and the guides and staff are now off island doing what they do, back to the real world for most of us. We left the camp in the care of Roger and Marsh, I am sure they are lining up projects and putting the camp to bed for another year. The 2018 season has come to a close at The Clubhouse. The season was an enjoyable one for sure, as you know we were busy and had an eventful summer. 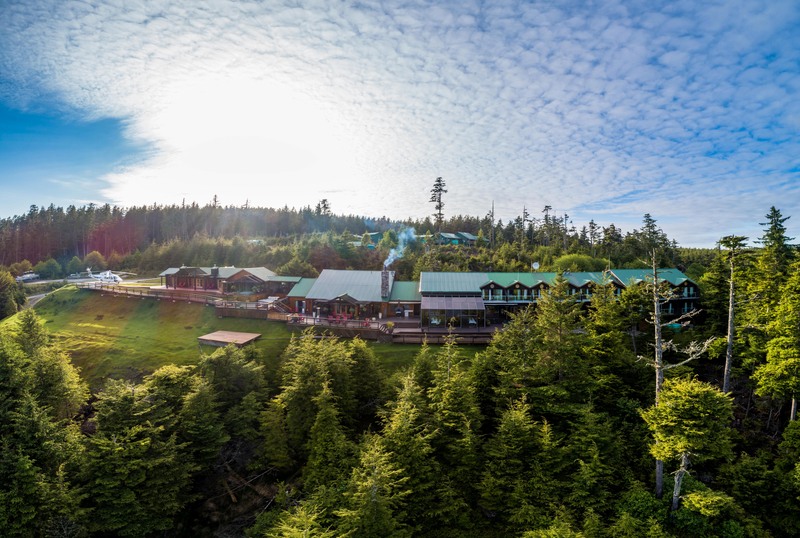 September saw the great weather roll in, little wind and extended days of sunshine, yes, sunny and warm right through our shutdown of the lodge. 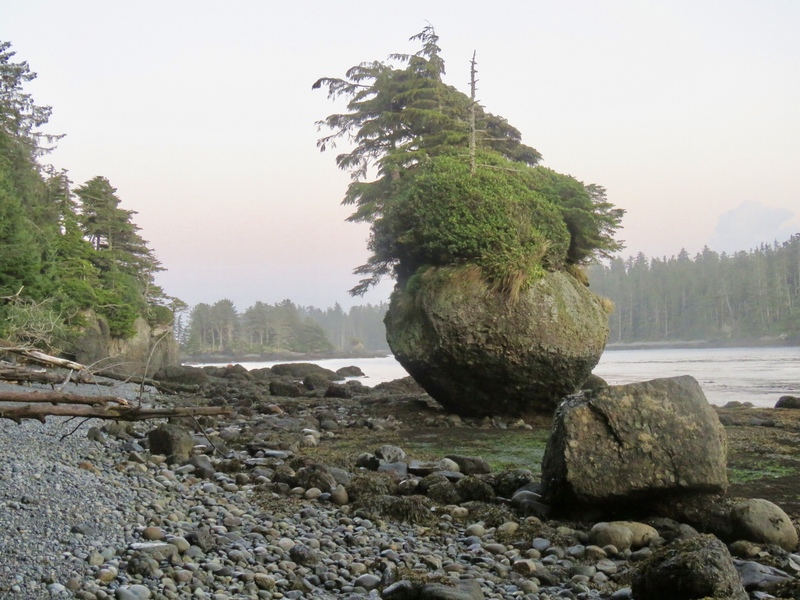 A few guides stayed on after the 13th of Sept to help run the boats into Masset, a special thanks to Brent, Shawn, Paul and Alex. We had great boat runs in and enjoyable flights back to camp with Pierre, lots of fun. 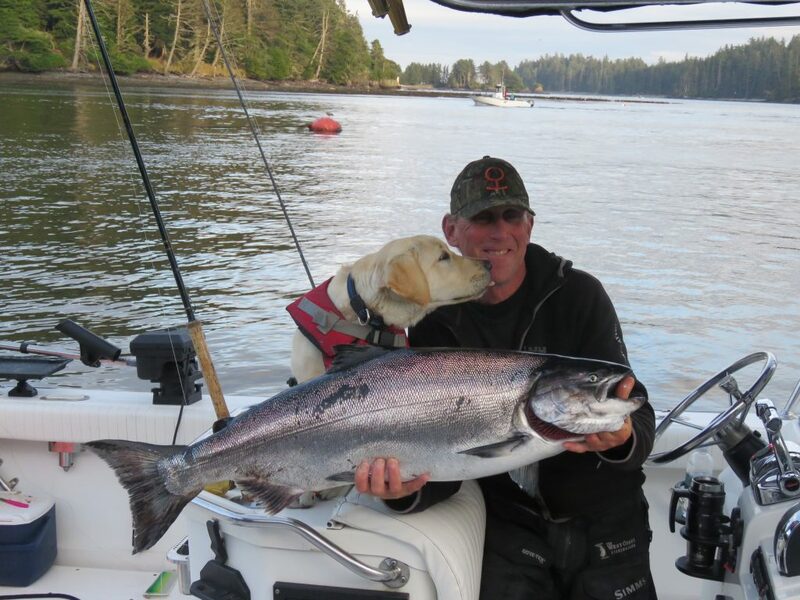 The fishing was spotty after the 6th of September, unusual for Langara. 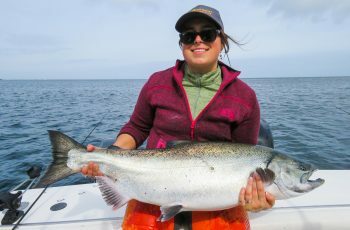 While the halibut were on the bite big time, as well as the chum, the chinook fishery was scratchy, one tide they were there, the next very slow. The guides moved off Thrumb Island and fished the deep, with moderate success. 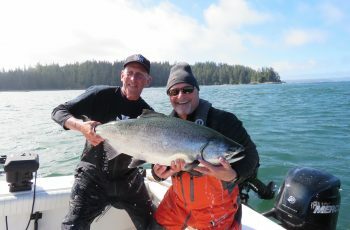 Owen, Brent, had some decent tides with fish in the 20’s, Brent mastered the chum fishery and loaded up several times. 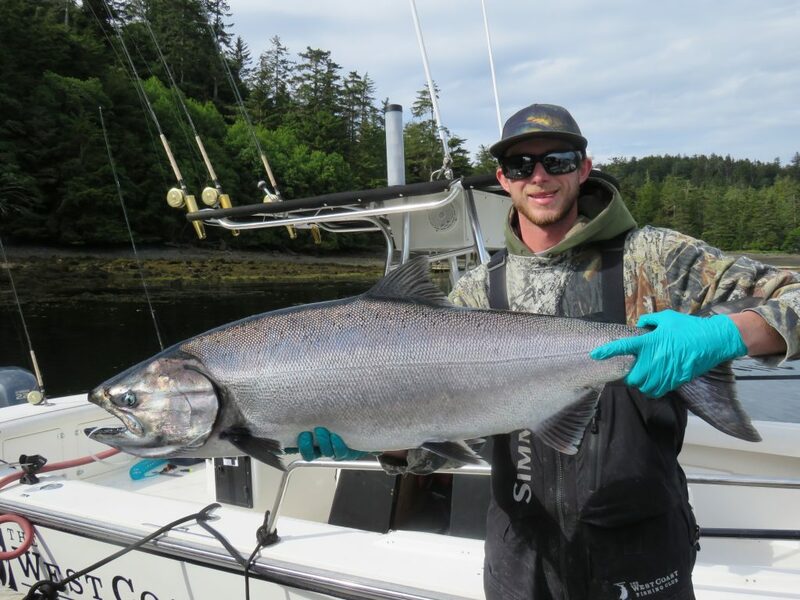 Korey had the honours of the last tyee this season, coming in at 31 lbs, I believe about the 9th of September. Below is a picture of what Korey will be up to this off season haha! As well as this big change, Korey is busy with his hunting, steel heading and helping Screamer with his commercial diving. 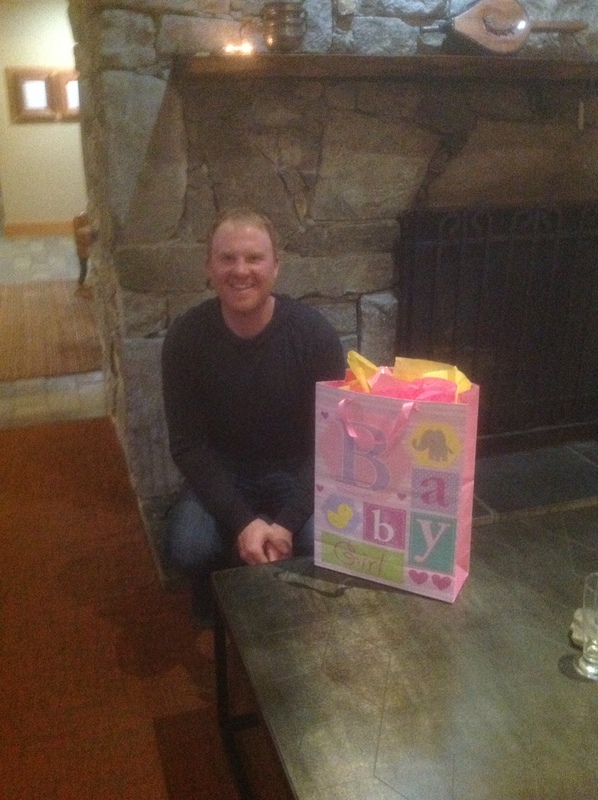 Clubhouse guide Korey will be welcoming a new addition to his family this November. We broke in several new guides this season, with Paul, Simon, Austin, and Andrew all making good progress learning the game. That said, a big thank you to Shawn and Bud, Korey and Brent for sharing they’re knowledge and spending valuable time on the dock insuring we have a team of guides working together and ultimately catching fish. The changing fishery is a constant learning game, nobody has this fishery all figured out. Every year is different, day by day the chinook fishery changes throughout the season. Below is a picture of Bud’s largest released chinook of the season, grabbed off the Lighthouse. 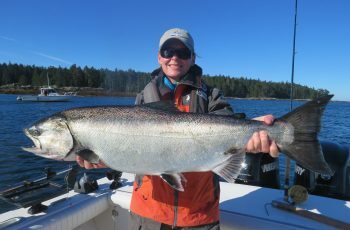 Guide Bud and Lea Furtney with a 37 lb released tyee. 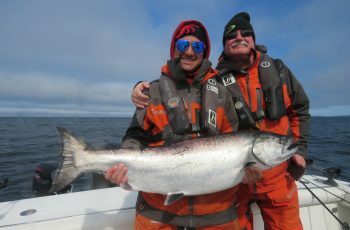 I would also like a to give a shout out to our fly in guides, especially world famous Jordie Stromquist, who filled in for Korey for the month of June, tougher fishing this year with the south easterlies, but kept us laughing and fished well. As well as Jarod who took over for Pete August 2nd, great job and always on the chinooks. True professionals who know customer service and make the workplace a lot of fun. Jarod and a great fish. Thanks for guiding this season. 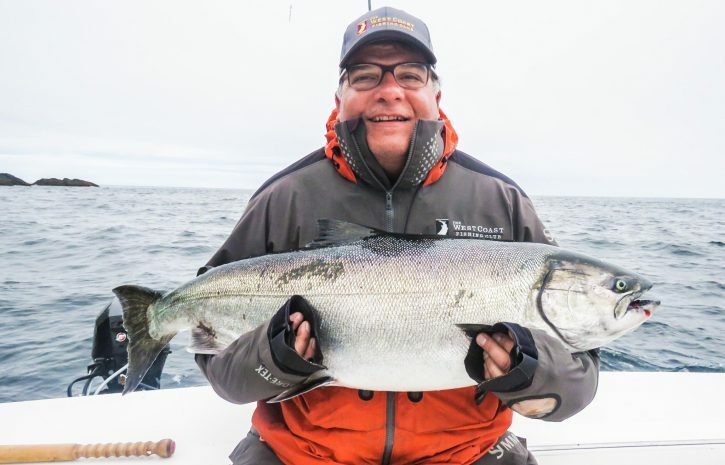 All our guides did a great job, and for the most part guided some great fish, most of which were released, again that is where the trophy chinook belong, back in the water. It will take a few weeks to zero in the returns for this season chinook-wise but we will keep you posted. Although this year saw some systems down in the counts, next season is a new game. 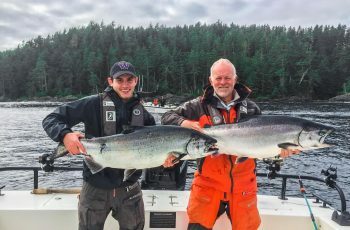 There are always surprises such as the Cowichan on Vancouver Island, which saw a record return in 2017, over 26,000 chinook, from a low of 600 a few years back! We saw a massive wave of chinook in early mid-July that surprised us, those are the nice surprises haha. Below is a picture of mascot Lucy and the last tyee we guided Sept. 6th, unfortunately mortally hooked. Lucy is busy already back in Victoria, working on my dive boat, see picture below. We are busy again enjoying the fall working away locally in Victoria. Lucy, myself and the last guided tyee of the 2018 season. 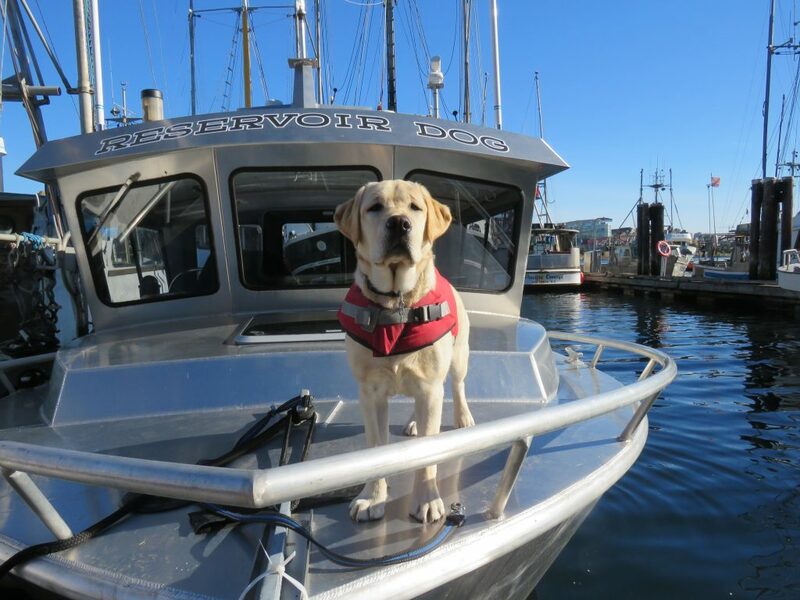 Lucy back at work in Victoria on the dive boat! Sept 26, 2018. Thanks again to all the guests that fished with us in 2018. The guides all enjoy some time off and soon we are making plans as to 2019 and what the season looks like. 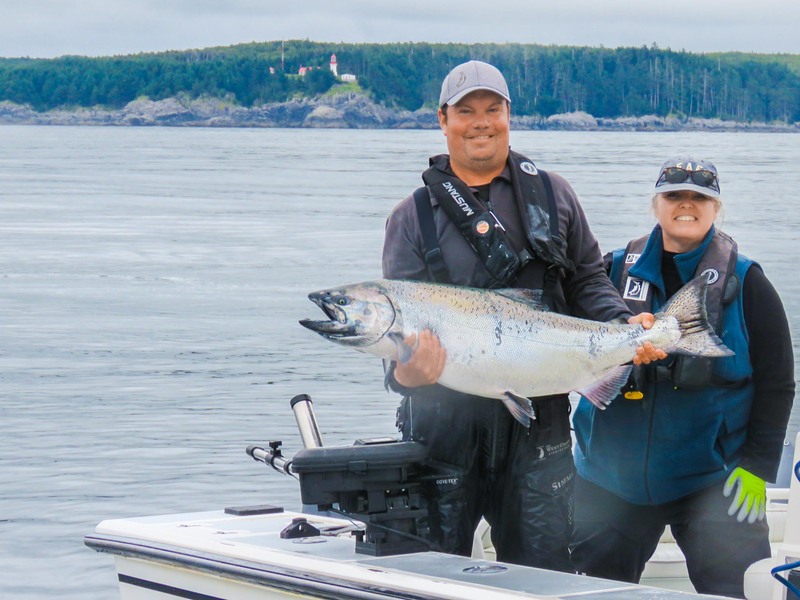 Most of the guides will be returning and all of the guides look forward to fishing with their clients and showing off our beautiful work place, Langara Island. See you all again soon.